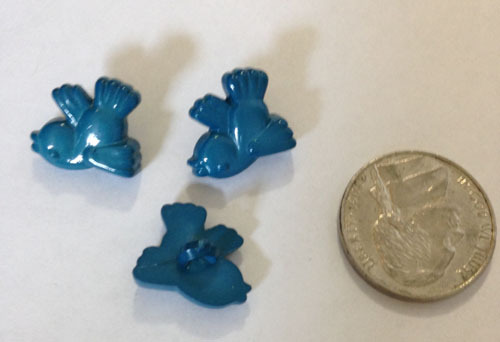 A set of three blue bird buttons. Each has a shank on the back. The second picture shows a nickle for comparison.